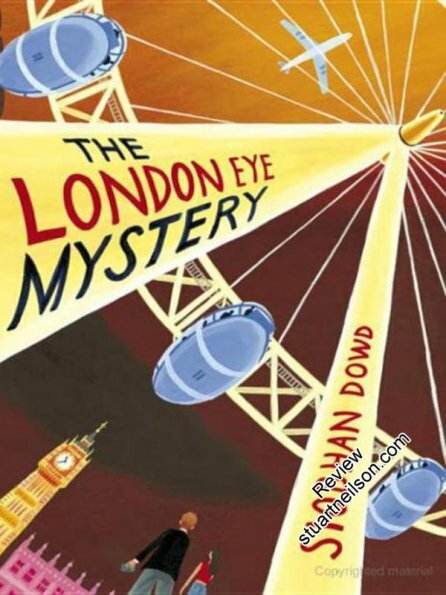 Dowd, Siobhan - "The London Eye Mystery"
I love this book. Ted is a 12-year-old 'neek', a nerd-geek, at "the high-functioning end of the spectrum". He is plunged into a locked-room mystery, much in the Agatha Christie style, where the action is all in the puzzle. The autistic traits that Ted exhibits are delightfully written from a first-person perspective, with great realism and conviction. Most of all, Ted is a boy with a puzzle, just like any other boy with a puzzle - autism affects his life, but the book is a mystery that happens to have an autistic protagonist. Ted's very ordinariness is the most charming aspect of the book.